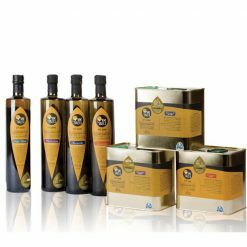 Kosher extra virgin olive oil – Souri is cold pressed and has an acidity level lower than 0.4%. 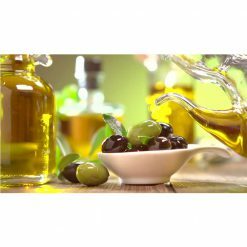 This olive oil has a comforting flavor and aroma reminiscent of fresh green olives. Kosher extra virgin olive oil – Souri is made from on of the oldest olive varieties in the world. This variety of olive tree was first discovered on the northern shores of Israel looking out to the Mediterranean. Now Souri olives are one of the most common varieties in the Middle-East, and the most common in Israel. As most Souri groves in Israel are not irrigated this creates a strong fruity flavor and aroma with a hint of bitterness. 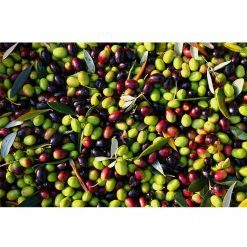 We take great care to nurture Souri olives in our grove to create fruit that is fresh and mild. 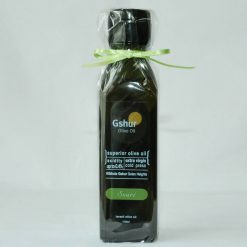 Kosher extra virgin olive oil – Souri has a familiar flavor and aroma, which is unmistakably that of young green olives, with almost no bitterness.